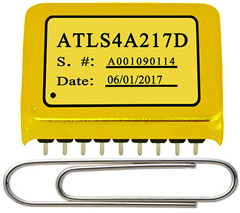 High-Voltage-Constant-Current-Laser-Driver-ATLSxA217 - Analog Technologies, Inc.
For driving high voltage diode lasers or driving a serial of diode lasers simultaneously, we have developed the ATLSxA217 series laser drivers/controllers. 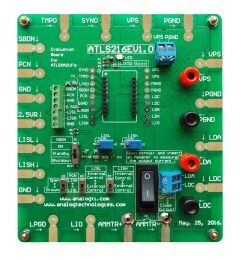 The ATLSxA217 has high output current capability, high efficiency, low output noise (but with an output 4mVpp ripple voltage at 700kHz), wide modulation bandwidth, and small size. The wide output voltage range, 0.1VVPS ~ 0.8VVPS, allows driving one or multiple serial laser diodes at the same time, for up to 4A of well controlled current at a very high efficiency rate. The extremely low noise between DC ~ 10kHz and low DC current drift make it ideal for driving diode pumped single- mode laser diodes to achieve mode-hop-free and narrow optical wavelength drift, thus, producing long coherent length. Because of the high efficiency, the laser driver generates a small amount of heat, thus, no heat sink is necessary for normal operation. This laser driver, ATLS4A217, has two current set ports digitally controlled so the user can switch between them for setting the output current. This convenient feature allows modulating the laser digitally with 2 preset current values. The actual laser current and laser driver temperature are monitored by dedicated ports. In case the laser driver temperature exceeds the limit, 120°C, the laser driver will shut down the output stage by itself and force the laser driver into Standby Mode. There is a loop good indication output to tell if the laser driver is operating properly. 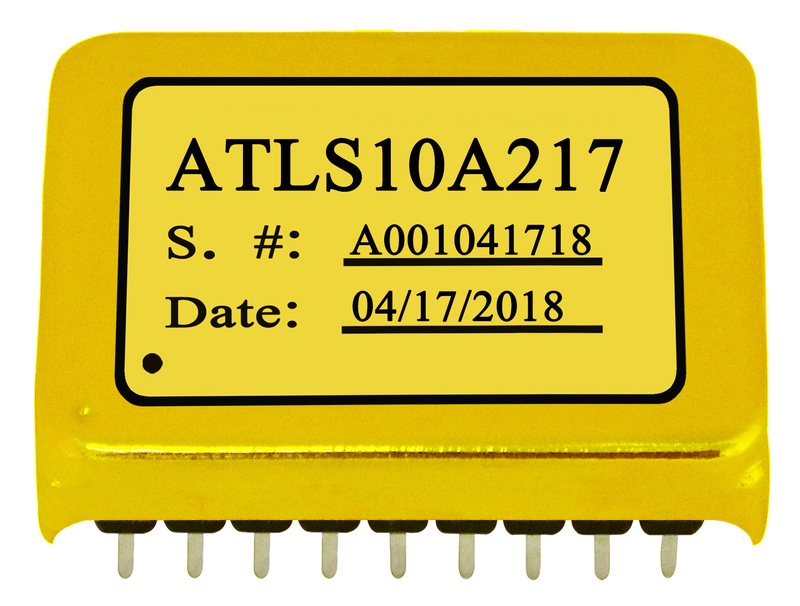 This laser driver, ATLS10A217, is an electronic module that has all the valued and vital features, but are often difficult to achieve simultaneously: wide input and output voltage range, high output current capability, high efficiency, low output noise (but with an output 4mVpp ripple voltage at 500kHz), wide modulation bandwidth, and small size. The evaluation board introduced by this application note, ATLS216EV1.0, is designed for evaluating these laser drivers conveniently. It is recommended to read this application note with the ATLS4A217D or ATLS10A217D datasheet which provides more detail information about the specifications and application guidelines for the laser drivers.